Today was Day #2 of Chocolate and Mint Theme Week. 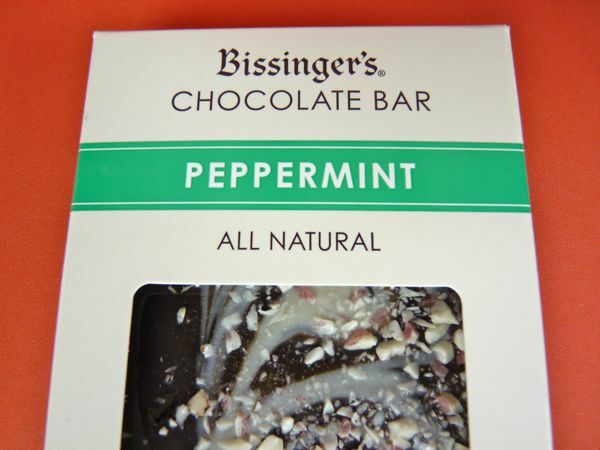 This Peppermint bar from Bissinger's (St. Louis, MO) was made, in a gluten-free facility, with both dark and white chocolate. 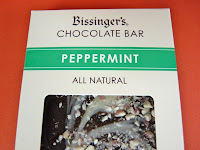 The very natural tasting peppermint flavor helped boost my enjoyment of this bar that was decorated with crunchy flecks of peppermint candy.